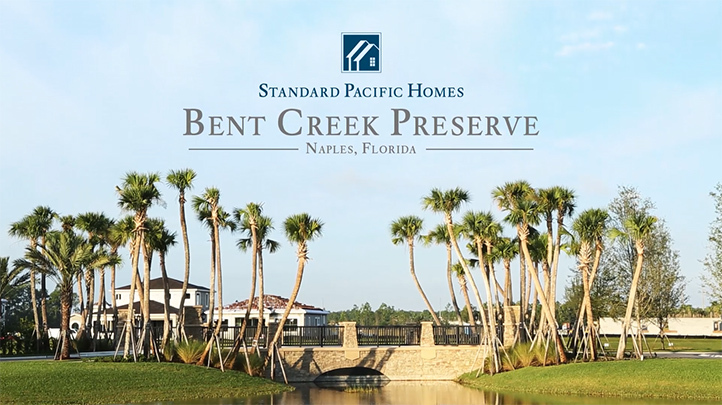 Bent Creek Preserve is a gated residential community that is designed to cater a variety of lifestyles. This single-family home community features resort-style amenities and four luxurious new home designs. Some amenities include a central recreation center with sweeping water views, a state-of-the-art fitness center, tennis courts and aqua-sport area. The community is surrounded by several beautiful lakes, as well as lush landscaping throughout.